This is the perfect gift for a birthday, get well or just to say thanks. 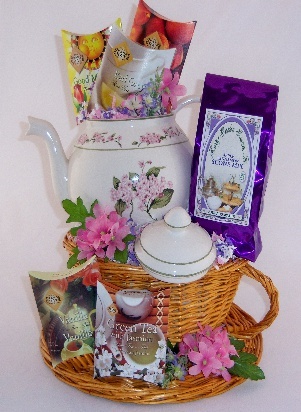 This teacup shaped basket is filled with a lovely tea pot and 5 different flavored teas. Also includes a bag of muffin or scone mix.